The Syrian Coalition’s Department of Foreign Affairs held two separate meetings in the Turkish capital Ankara with Sweden Ambassador Lars Wahlund and Cote d’iIvour Ambassador Yacouba Atta. The meetings discussed the latest developments on the ground in Dara’a province and the latest political developments regarding the issue of the drafting of a new Syrian constitution. Head of the Department of Foreign Affairs, Abd al-Ahad Steifo talked about the series of mass forced displacement being carried out by the Assad regime against civilians in different parts of Syria. He urged Sweden and Côte d’Ivoire, both non-permanent members of the UN Security Council, to support the Syrian people’s demands for freedom and dignity. Steifo urged Sweden, which will preside over the UN Security Council next month, to support the taking of a firm stance towards the war crimes being committed by the Assad regime against civilians and put an end to the international community’s failure to take legal responsibility towards the protection of civilians. Steifo stressed the need to provide humanitarian and relief assistance to the displaced people, especially in southern Syria where over 300,000 people have been displaced in recent weeks, according to United Nations. Moreover, Steifo stressed that the Coalition’s serious engagement in negotiations to reach a political solution was met by insistence of the Assad regime to pursue a bloody security and military solution. He noted that the formation of a Constitutional Committee tasked with drafting a new constitution is key to bring about real political transition and the establishment of a state that is based on the rule of law. 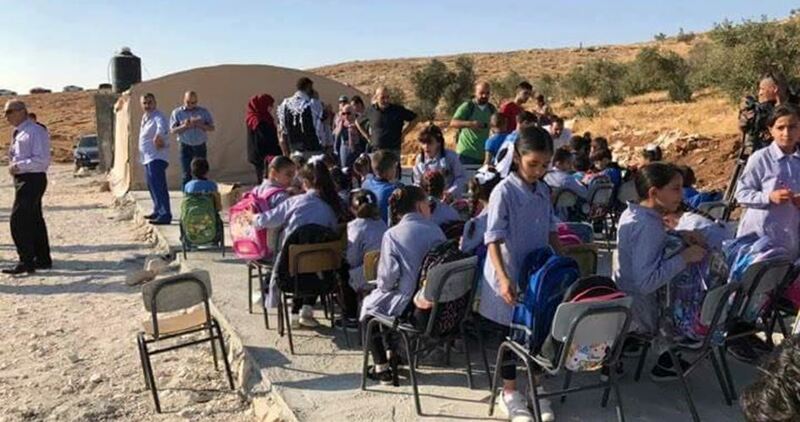 The Israeli army dismantled on Wednesday a Palestinian school in Khillet al-Daba’, east of Yatta, in the southern occupied West Bank, and seized the caravans that make up the school. Head of the local village council Mohamed Raba’i said the army rolled into the village early Wednesday, a day after declaring an intention to remove the school, and took away the caravans that made up the classrooms. Raba’i said the arbitrary demolition was carried out on the same day as schoolchildren joined a summer camp held by the Palestinian Education Ministry. On Tuesday, Israeli troops stormed the area and took away the school furniture, threatening to tear it down under the pretext of unlicensed construction. Tension has been running high in Qalansuwa, in territories occupied in 1948, after Israeli forces notified the demolition of 50 Palestinian homes under the pretext of unlicensed construction. 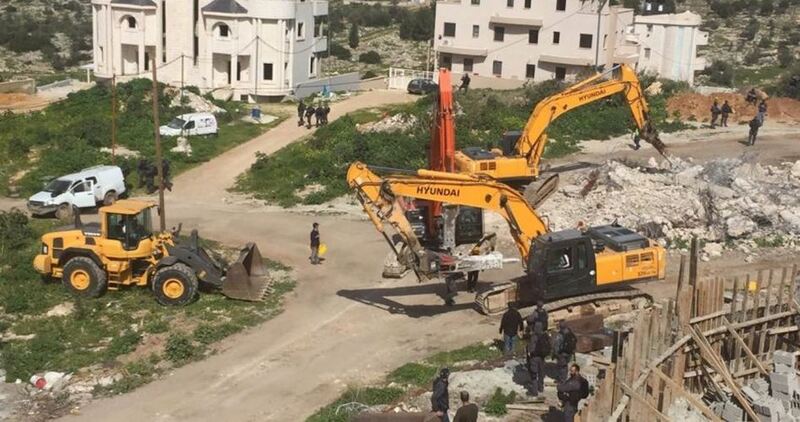 The High Follow-Up Committee for Arab Citizens said in a statement that Israeli forces tear down houses under various pretexts across 1948 occupied territories. Qalansuwa mayor, Addul Baset Salama, said the Palestinians have been seeking ways to respond to the demolition threat. Salama said no serious actions have been made in response to Israel’s demolition policies in the area. He said the fact that six Palestinian homes were demolished in one week is just “unbelievable”. 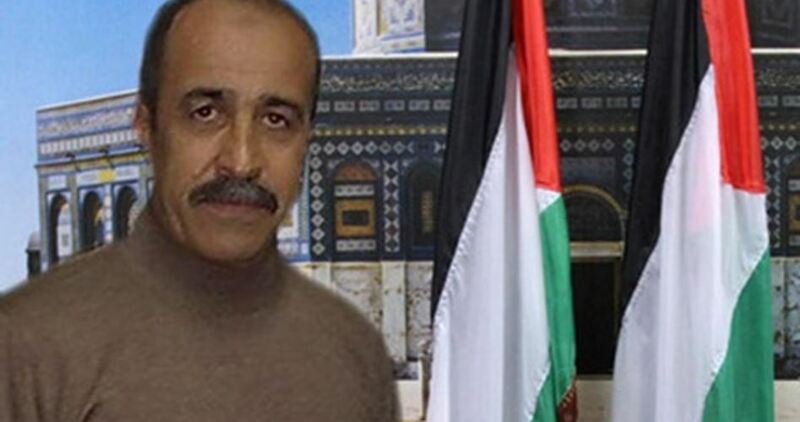 Israeli military court of Petah Tikvah on Wednesday extended the detention of the lecturer at An-Najah National University Ghassan Thouqan, 61, for five days. Early on Wednesday, Israeli forces raided Thouqan’s house and seized around 11,000 Israeli shekels (app. $3000) as well as his cellphones before detaining him. Since then, he was prevented from meeting his lawyer. Thouqan was arrested more than once by Israeli forces where he spent as a whole nearly ten years in administrative detention. An Israeli drone on Wednesday attacked a group of Palestinian youths east of Rafah city in the southern Gaza Strip. The PIC reporter said that at least one missile was fired at a group of fire-kite flyers at the Great March of Return with no casualties reported. 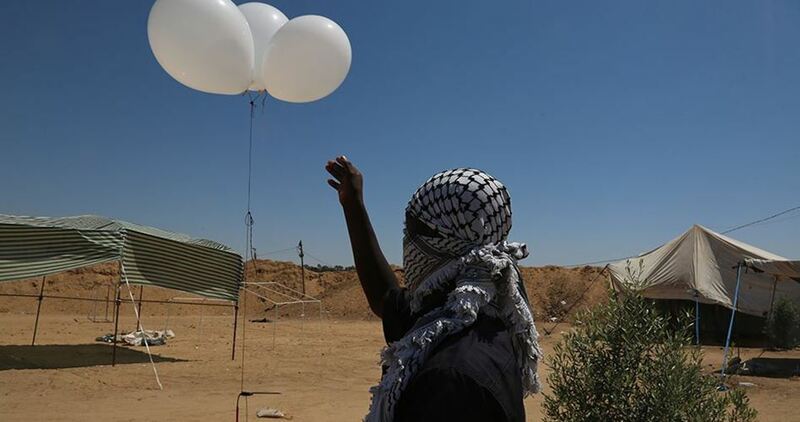 Since the start of the Great March of Return on 30th March, Palestinian youths have launched dozens of fire kites and balloons toward Israeli settlements adjacent to the Gaza Strip. Israeli occupation forces (IOF) on Wednesday afternoon arrested a Palestinian citizen at a military checkpoint near Ramallah city. According to local sources, the IOF arrested Hatem Mansour, a resident of Burqin town west of Jenin, at a checkpoint between Nablus and Ramallah and transferred him to an unknown destination. They said that the IOF soldiers stopped the car he was travelling in for about an hour before allowing it to leave. GAZA, PALESTINOW.COM — Israeli navy forces attacked on Tuesday Freedom Ship 2, arrested eight passengers on board and transferred them to a military base in Ashdod Port. The Legal and International Relations Committee of the Great March of Return and Breaking the Siege condemned, in a statement on Tuesday, the Israeli piracy on the ship which sailed for breaking the siege that has been imposed on Gaza for 12 years. Earlier on Tuesday, the National Action for Breaking the Siege announced losing contact with the ship that kicked off in the morning from Gaza port carrying students, wounded and patients who were hoping to reach hospitals outside Gaza. Human rights activists said, in a conference held before the ship headed for European ports, that they will not give up their hopes and efforts to break the siege. They held Israel responsible for the safety of the passengers and asked international community for protection. A detained Palestinian woman informed a lawyer of the Palestinian Detainees’ Committee that she lost consciousness for several minutes, two days ago, due to constant and lengthy interrogations. Lawyer Karim Ajwa, of the Detainees’ Committee, managed to visit the detained woman, Deema al-Karmi, 38, on Monday, who informed him that she lost consciousness for several minutes, two days earlier, due to extended interrogation sessions, and sleep deprivation. He added that al-Karmi is also suffering from severe abdominal pain and respiratory issues. Last Thursday, the Asqalan Israeli court order al-Karmi under further interrogation for eight additional days. 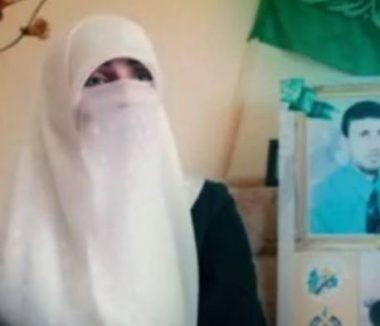 The Palestinian woman, a mother of an eight-year-old girl, was abducted by the soldiers, on July 3rd, 2018, after they invaded her home in Hebron city, in the southern part of the occupied West Bank. July 10, 2018 (Palestinian News & Info Agency WAFA) – Israel detained 3533 Palestinians during the first half of 2018, including 651 children, 63 women and four journalists, several Palestinian human rights organizations working on prisoners issues said on Tuesday. The Palestinian Prisoners Society (PPS), Addameer Prisoners Support and Human Rights organization, The Prisoners Commission and Al Mezan Center for Human Rights said in their joint report that Israel issued 502 administrative detention orders since the start of the year, including 197 new orders bringing the total number of administrative detainees held without charge or trial to 430. The report said Israel detained 449 Palestinians in June, including 117 from Jerusalem; 55 from the Governorate of Ramallah and al Bireh; 75 from the Governorate of Hebron; 29 from the Governorate of Jenin; 51 were from Bethlehem; 49 were from Nablus; 15 from Tulkurm; 30 from Tulkarm, 14 from Qalqiliya; 7 from Tubas; 6 from Salfit; 4 from Jericho Governorate; and 12 from the Gaza Strip. In May, statistics by the rights organizations showed that Israel detained 605 Palestinians, 94 of them were children and nine were women. The detainees included 197 from Jerusalem; 104 from the Governorate of Ramallah and al Bireh; 70 from the Governorate of Hebron; 33 from the Governorate of Jenin; 44 were from Bethlehem; 48 were from Nablus; 15 from Tulkurm; 32 from Qalqiliya; 5 from Tubas; 20 from Salfit; 8 from Jericho Governorate; and 29 from the Gaza Strip. They said that 83 administrative detention orders were issued in May against Palestinians, including 36 new and the rest were renewals. Around 6000 Palestinians are currently held in Israeli prisons on charges of resisting the occupation. Of this figure, 61 are women, among them six under the age of 18, 350 children and 430 held in administrative detention. According to sources, the Israeli occupation forces arrested the university lecturer, the prisoner Ghassan Zoukan (60 years), after raiding his house in Al-Maajin neighborhood in the West Bank. His daughter said that the Israeli soldiers searched the house and dumped it, confiscated NIS 11,000 in addition to the mobile phones of the family. Her father was arrested and taken to the Manahil printing press in the country’s Balata. Violent confrontations took place during the presence of the occupation forces in the Baladat al-Balad area, which included firing of bullets, sound bombs and gas. 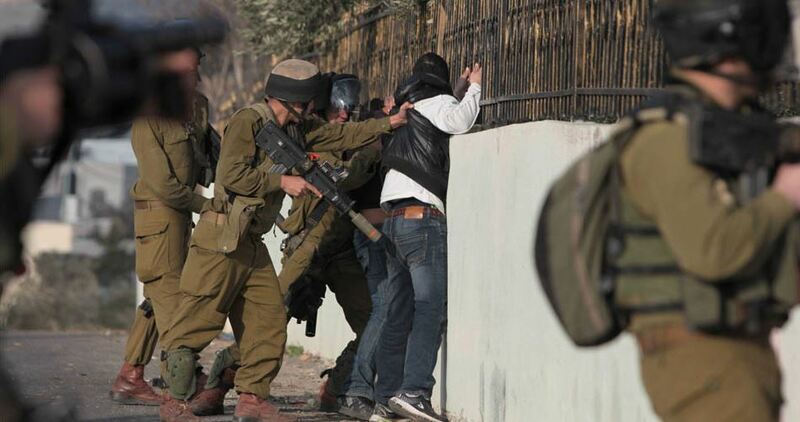 The Israeli occupation forces also arrested the lawyer and the released prisoner Ibrahim Nawaf al-Amer after raiding his house in the village of Kafr Qalil south of Nablus, and the young Yazen Mohammed Walid Abdel Qader al-Khalil from the town of Qusra southeast of the city. In Jenin, the Israeli occupation forces stormed a house, searched and seized funds, and arrested a civilian at a military checkpoint. The Israeli occupation forces raided the house of Ahmed Abdullah Abu Sariya in the Kharuba neighborhood of Jenin city, searched it, destroyed its contents and confiscated a sum of money. It is worth mentioning that Abu Surayyeh is a prisoner of conscience and has not been released for months. On the other hand, the Israeli occupation forces arrested Hamdan al-Sayyid from the city of Jenin late last night while passing at the military checkpoint Zaatara from Ramallah. 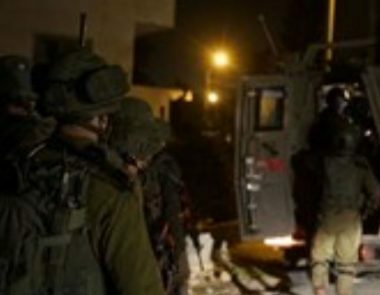 In Hebron, the Israeli occupation forces arrested nine citizens in an extensive raid carried out in the town of Beit Ummar north of Hebron in the West Bank, amid violent confrontations. The correspondent of “Safa” that the campaign in Hebron, including the distribution of threatening data on the population under the pretext of setting fire to the settlement “Kramitsur” adjacent to the town. The media activist Mohammed Awad told our correspondent that the occupation forces arrested nine citizens, mostly prisoners released from Israeli jails. He said that the detainees were: Khalil Jamal Abu Hashim, 32, his brother Tariq, 27, Ziad Omar Jabareel al-Sulaybi, 23, and his brother Iyad, 22, Jihad Raed Moqbel, 21, (22 years), Ahmed Samir Abdul Rahman Abu Ayyash (19 years old), Rashid Bashar Issa Za’aig (19 years). Awad revealed that the occupation soldiers poured flour and sugar and smashed furniture and doors inside the house of Ahmed Mohammed Ibrahim Abu Ayash and threw tile outside the house and tear down the brushes and chairs and clothes inside the house on the pretext of searching for prohibitions, according to the claim of the occupation soldiers. The Israeli soldiers distributed warning leaflets and threw them on the walls, warning citizens to continue resisting the occupation and throwing Molotov cocktails at the nearby settlement of Karmitsur. There were confrontations in the town, during which the soldiers fired rubber bullets, gas and sound bombs. A 20-year-old man was wounded by a rubber bullet in the foot. He was treated at the medical center. Dozens of cases of suffocation were treated on the ground and the military campaign continued until the early morning hours. اعتقلت قوات الاحتلال فجر الاربعاء 12 مواطنًا، وصادرت مبالغ مالية وأسلحة خلال مداهمات في الضفة الغربية المحتلة. وأفادت مصادر بأن قوات الاحتلال اعتقلت المحاضر الجامعي الأسير المحرر غسان ذوقان (60عامًا)، بعد مداهمة منزله في حي المعاجين غربًا. وقالت ابنته إن جنود الاحتلال فتشوا المنزل وعاثوا فيه خرابًا، وصادروا مبلغ 11 ألف شيكل إضافة إلى أجهزة الجوال الخاصة بأفراد العائلة، وتم اعتقال والدها واصطحابه إلى مطبعة المناهل التي يملكها في بلاطة البلد، وجرى تفتيشها ومصادرة جهاز حاسوب منها. ووقعت مواجهات عنيفة خلال تواجد قوات الاحتلال في منطقة بلادة البلد، تخللها إطلاق الرصاص وقنابل الصوت والغاز. كما اعتقلت قوات الاحتلال المحامي والأسير المحرر إبراهيم نواف العامر بعد مداهمة منزله في قرية كفر قليل جنوب نابلس، والشاب يزن محمد وليد عبد القادر الخليل من بلدة قصرة جنوب شرق المدينة. وفي جنين، اقتحمت قوات الاحتلال فجرًا منزلا وفتشته واستولت على أموال، كما اعتقلت مواطنا على حاجز عسكري. وقال مواطنون لوكالة “صفا” إن جنود الاحتلال داهموا منزل المواطن أحمد عبد الله أبو سرية في حي خروبة بمدينة جنين وفتشوه وخربوا محتوياته وصادروا مبلغا ماليا. يذكر أن أبو سرية أسير محرر لم يمض شهور على خروجه من سجون الاحتلال. من جهة أخرى، اعتقلت قوات الاحتلال المواطن حمدان السيد من مدينة جنين في وقت متأخر الليلة الماضية خلال مروره على حاجز عسكري زعترة قادما من رام الله. وفي الخليل، اعتقلت قوّات الاحتلال تسعة مواطنين في حملة مداهمة موسّعة نفّذتها في بلدة بيت أمر شمال محافظة الخليل بالضّفة الغربية، وسط مواجهات عنيفة. وأفاد مراسل “صفا” أن الحملة بالخليل تخللها توزيع بيانات تهديدية على السّكان بذريعة إشعال الحرائق في مستوطنة “كرميتسور” المجاورة للبلدة. وأفاد النّاشط الإعلامي محمد عوض لمراسلنا باعتقال قوّات الاحتلال تسعة مواطنين معظمهم من الأسرى المحررين من سجون الاحتلال. وأوضح بأنّ المعتقلين هم: خليل جمال خليل أبو هاشم (32 عامًا) وشقيقه طارق (27 عامًا)، زياد عمر جبرائيل الصليبي (23 عامًا) وشقيقه إياد (22 عامًا)، جهاد رائد مقبل (21 عامًا)، حسن محمد حسن مقبل (21 عامًا)، أيهم خليل عبد الفتاح صبارنة (22 عامًا)، أحمد سمير عبد الرحمن أبو عياش (19 عامًا)، راشد بشار عيسى زعاقيق (19عامًا). وكشف عوض عن سكب جنود الاحتلال الطحين والسكر وتحطيم أثاث وأبواب داخل منزل المواطن أحمد محمد إبراهيم أبو عياش وخلع بلاط خارج المنزل وتمزيق فرش وكراسي وملابس داخل المنزل بحجة البحث عن ممنوعات حسب ادعاء جنود الاحتلال. ووزع جنود الاحتلال منشورات تحذيرية وألصقوها على الجدران، تحذر المواطنين من استمرار مقاومة الاحتلال وإلقاء الزجاجات الحارقة على مستوطنة “كرميتسور” المجاورة. ووقعت مواجهات في البلدة، وأطلق خلالها الجنود الرصاص المطاطي وقنابل الغاز والصوت أسفرت عن إصابة شاب (20 عامًا) برصاصة مطاطية في قدمه، تم إسعافه في المركز الطبي. وأصيب العشرات بحالات اختناق عولجوا ميدانيا واستمرت الحملة العسكرية حتى ساعات الصباح الأولى.